Democracies elect their own governments but that doesn't mean the right people get elected. Mostly, parties put up candidates that will do as they are told, so someone with a good idea that is against the party line is suppressed to the popular view. Although freedom is assured in a democracy but from there it all goes downhill, but try to tell the poor they are free. Tell the homeless that are looking for shelter, food, and warm clothes they are free. Tell the person accused in the courts that can't afford a lawyer they are free. 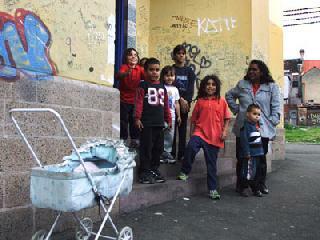 Australian Children - one in seven live in poverty. Not everyone in a democracy is free. Some are saddled with the lack of being able to live in comfort because of their poverty. It is those with the access to money that are not only free but able dominate others because of the power access to capital brings them. Australia is a prosperous country although one in seven of our children live in poverty. In the wealthiest countries in the world between 40 and 50 million children live in poverty. So the next time we see George Bush, Kevin Rudd, Gordon Brown and their ilk strutting their stuff on the world stage remember the kids back in their countries living in poverty not to mention their parents. Never forget it is these kids that are the target of abusers, so poverty takes on a whole new face. Governments pander to big business because of the benefits to employees and the taxes that those businesses generate. That is why the big irrigators in the upper reaches of the Murray River in Australia are able gain Government support that is killing the river. While the poorer farmers and fishermen on the lower reaches of the Murray go unsupported as they watch the river die outside their front door. Unfortunately the aim of governments it not to run the country to benefit its citizens but to get elected and to do only the projects that will gain them votes at the next election. To fix Global Warming governments will have to raise taxes and prices to implement reforms to save the planet. Have you noticed how leaders around the world have been procrastinating because they fear losing the next election if they do the right thing by the planet? No leave it to the next generation. By that time it will be bad enough for the fix to be politically acceptable, it doesn't matter that it's too late. Voters don't really have a choice at elections. Most parties have similar agendas and it comes down to the personal appeal of the leader. Usually it's a choice between bad and diabolical. I think politicians are selling us short. If a party told us they are going to fix Global Warming - the most pressing problem on our planet and for all counties - but your life style will decrease because taxes and prices will increase. Do it for your children, don't leave the problem for them like our parents did, I reckon I'd vote for them. What if the Government said they were going to solve poverty instead of pandering to big business, or paying for expensive sporting grounds? Would you vote for them? I would. But then I'm not rich - not poor either - so I don't have so much to lose. Photo courtesy of the ABC.